If you are just starting to plan your wedding, or if you are still trying to find the perfect wedding specialists to complete your list, you are probably considering attending a bridal show. If you have never attended one before, it can be quite overwhelming. Arguably, it’s even overwhelming to the participants who are there to help you. 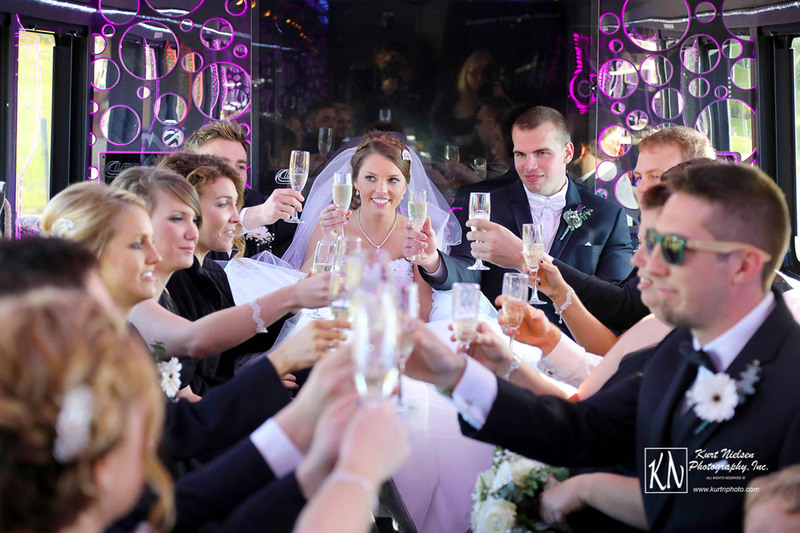 But it is also the perfect place to meet and talk with, albeit sometimes only briefly, those wedding professionals who can help you on your wedding day. 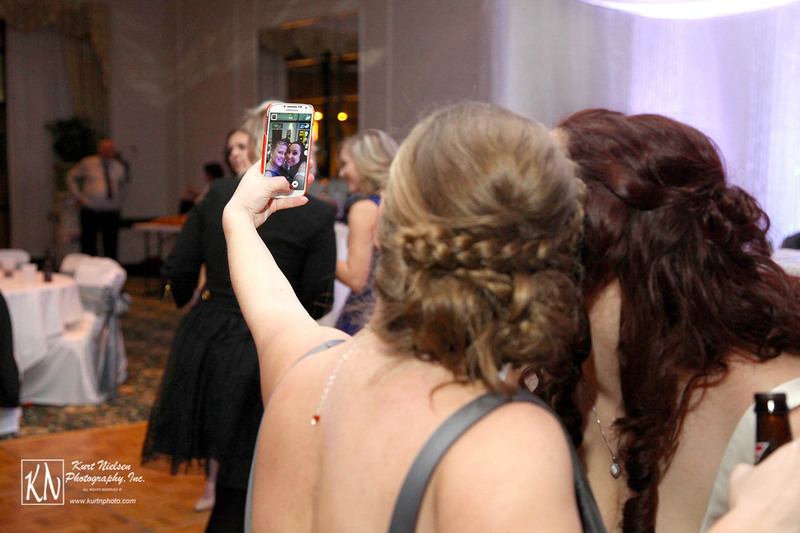 Here are a few tips to assist in your bridal show survival. 1. Pre-Register. Almost all of the bridal shows now allow you to pre-register for the event. This will save you lots of time from standing in line. In addition, many also allow you to purchase your tickets online as well. Of course, purchasing them online will save you even more time. 2. Show Up Early. Bridal shows are very busy and chaotic. 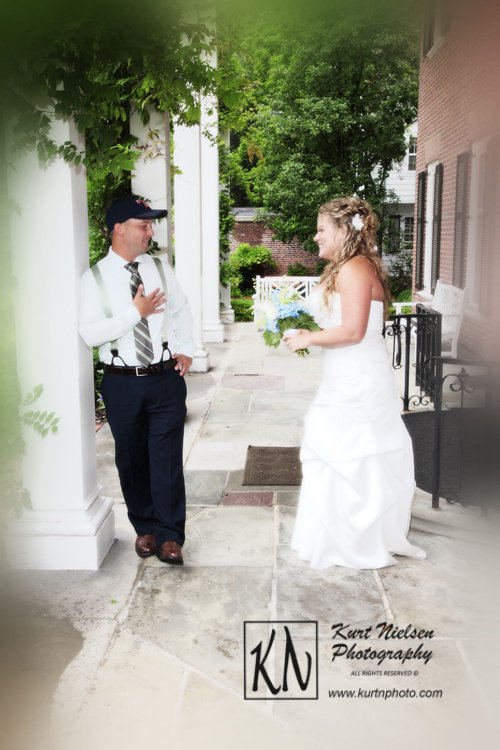 Arriving early means you will be able to get to speak with the wedding professionals before most of the rest of the brides. This is especially important when your wedding date is the same date that many other brides also want. Remember that when booking a wedding professional, it is usually a first-come, first-served basis, so if you know you want to book a particular wedding professional, the sooner you do that the better your chances will be of getting your wedding dream team. 3. Print Address Labels. Almost all of the wedding specialists will have some sort of drawing. Print address labels prior to attending to save time. Be sure to include your name, email address, phone number and wedding date. Not only does this save time, but will spare your hand from cramping! 4. Know your budget. Knowing your budget will save you the embarrassment of hiring someone you will not be able to afford and then have to cancel their services. Keep in mind that most deposits are non refundable to protect the vendor. Therefore, it’s better for you to spend that money on things that are necessary and that you can afford. Don’t waste it on the fluff no one will remember. 5. Bring your checkbook! 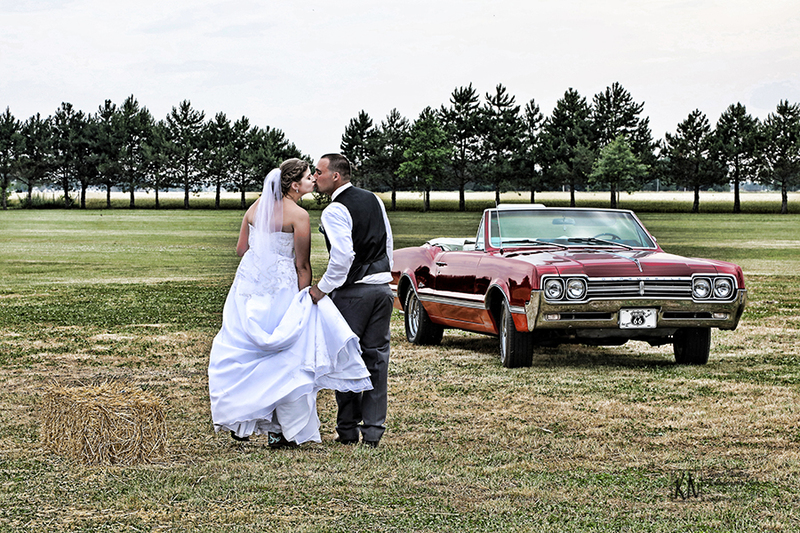 If you are serious about planning your wedding, you will want to bring your checkbook. Many wedding professionals do not accept credit card payments. Therefore, it is wise to bring your checkbook. 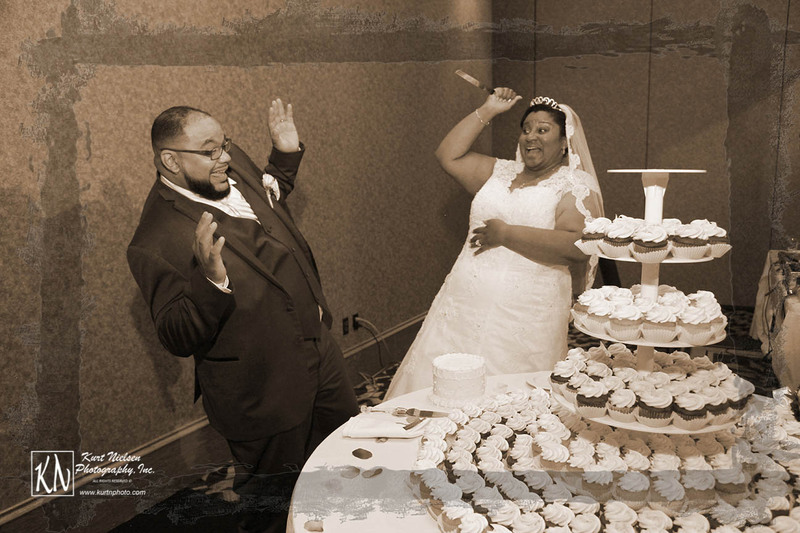 This will ensure you get the wedding specialists that you want from the show. 6. Have your calendar available. If you wish to sit down and meet with your favorite wedding specialists before booking them, you should know when you are available. Chances are that they have their calendars with them and can schedule an appointment at the show. 7. Bring your posse. 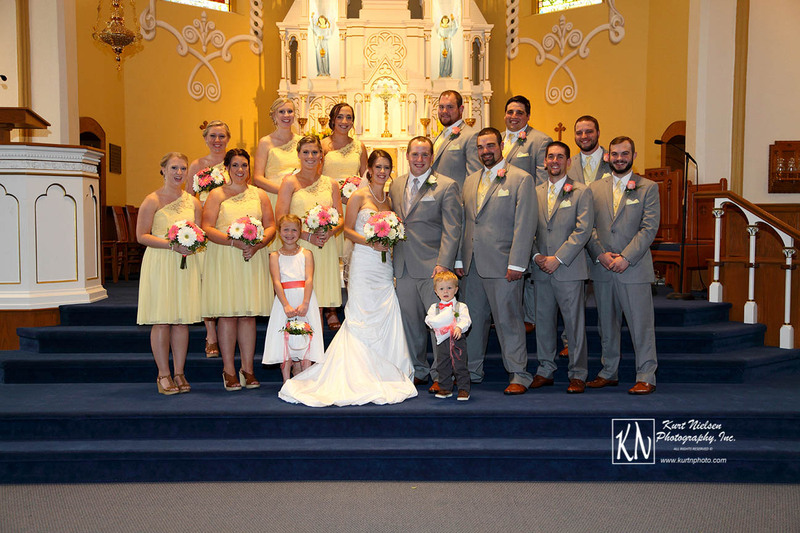 Have your mom, your maid of honor, your bridesmaids, and your fiancee come with you. Bring whoever will be helping you plan your wedding. (Just be careful not to bring too many people so you don’t get overwhelmed or confused.) They can help you decide on things and also help carry the massive amounts of literature that you will receive from the show vendors and also help you fill out the drawing entry forms. 8. Take notes, pictures and collect as much information as you can. There will be a lot of things running through your brain and this will help you keep track of what you like. Accordingly, there will also be a lot of photo booths that you can try out, so be camera ready! 9. Eat before you go. No one likes it when you are hangry. There will be small, almost bite-sized, food samples at the show. But, they are just samples and not enough to fill you up. It’s a good idea to eat lunch before the show to help keep your mind focused. 11. Bring something to drink. You will be talking to a lot of people and your mouth will get very dry. For that reason, you should bring something that will quench your thirst and keep you going. 12. Wear comfortable shoes! Your entire bridal show survival could depend on your feet comfort level! You will be doing a lot of walking and standing. There will not be any seating areas provided in the venue. Therefore, it’s important to wear something comfortable and supportive. 13. Don’t get pressured into booking at the show! 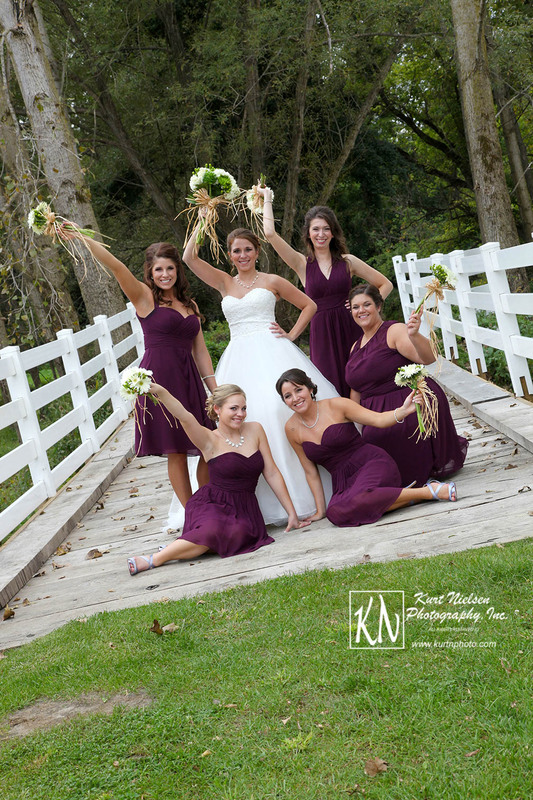 There will be many eager brides ready to find the one perfect wedding professional for their special day. 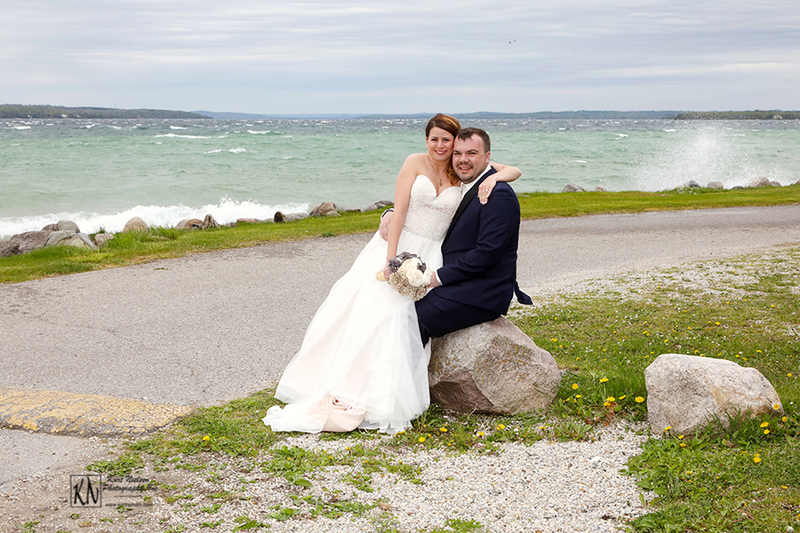 And there will also be many eager wedding professionals ready to fill their calendars with weddings. Don’t let their overzealous antics force you into a contract that you aren’t ready to sign. 14. Have fun! 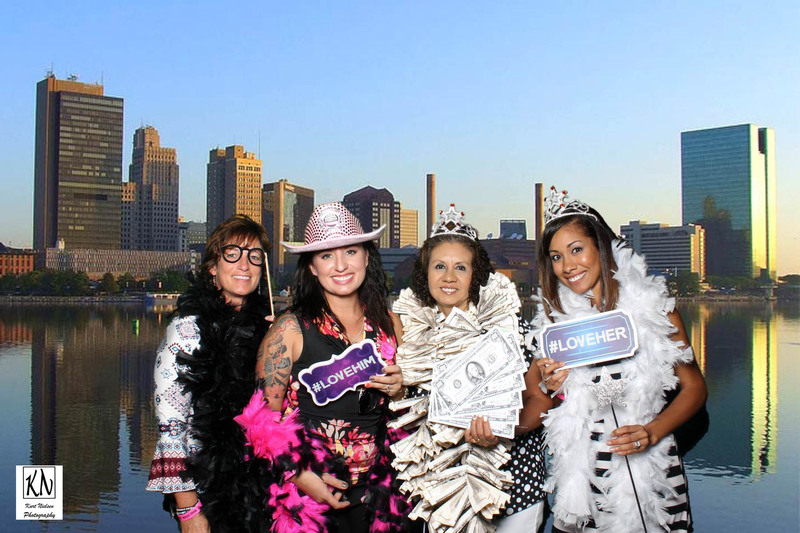 Don’t forget to have fun at the bridal show! After all, this is what you have dreamed of and worked for your whole life. If you have recently become engaged and are looking for a wedding photographer and/or photo booth, I will be at the Sounds of Music DJs Superbowl of All Bridal Shows on Saturday, January 27 and Sunday, January 28 from 1:00 pm until 5:00 pm. 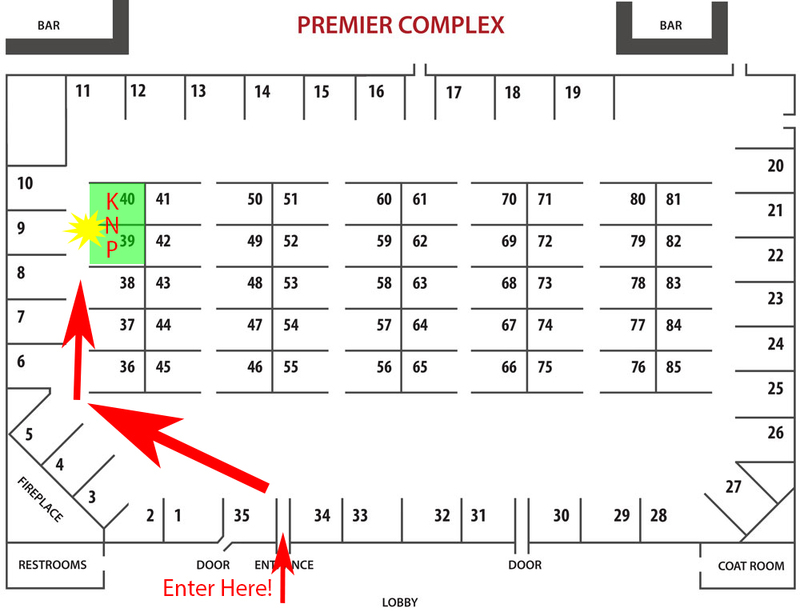 I will be located at The Premier on Heatherdowns. Don’t forget to stop by and say hi and check out my photography and my photo booth! 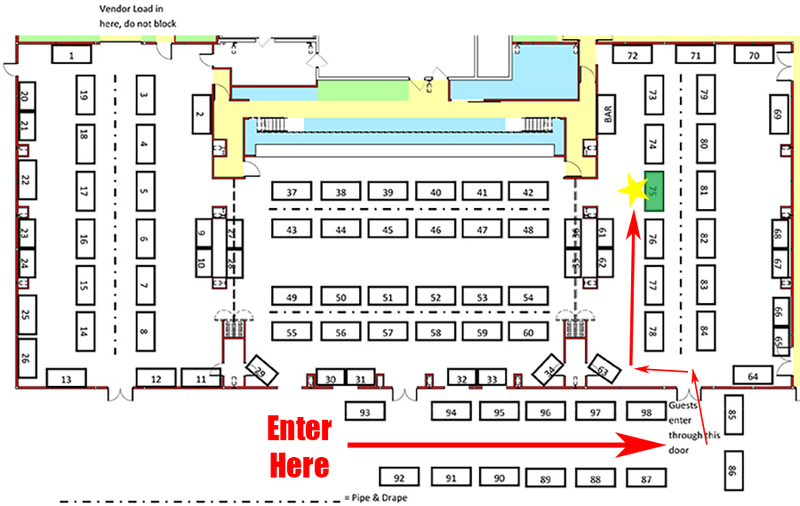 Here is a map of the layout and where I will be. 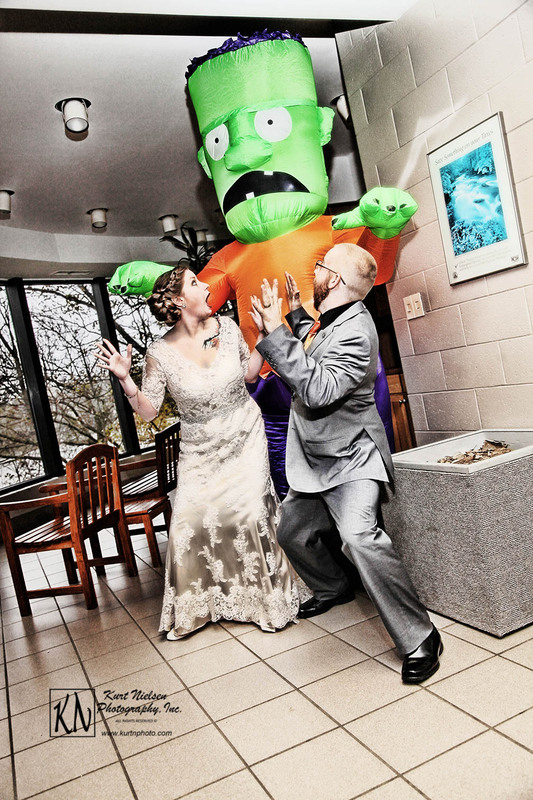 Use these tips to get the most out of the bridal expo! Happy planning! For more information about Kurt Nielsen Wedding Photography, including pricing, please visit my website at www.kurtnphoto.com. Feel free to make comments below and/or share this blog post. Help spread the word and pin this image to your Pinterest board! Congratulations on your recent engagement! 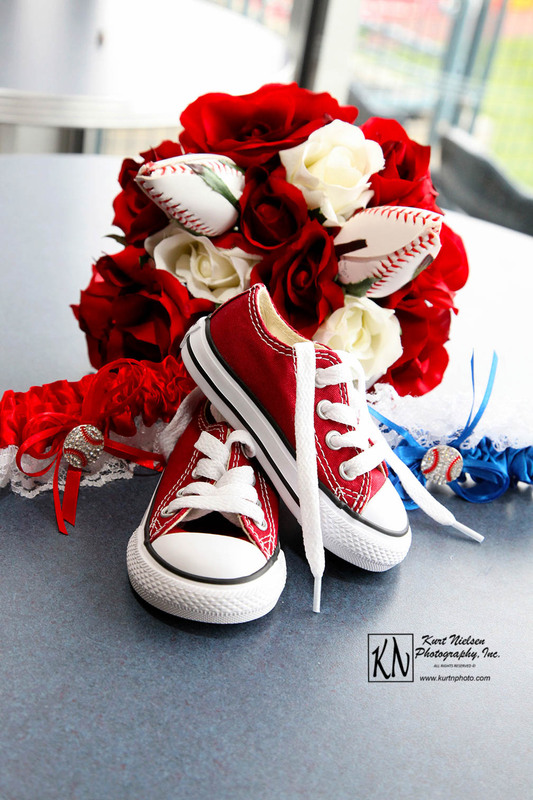 Now what do you need to do to start planning your wedding? That’s easy! 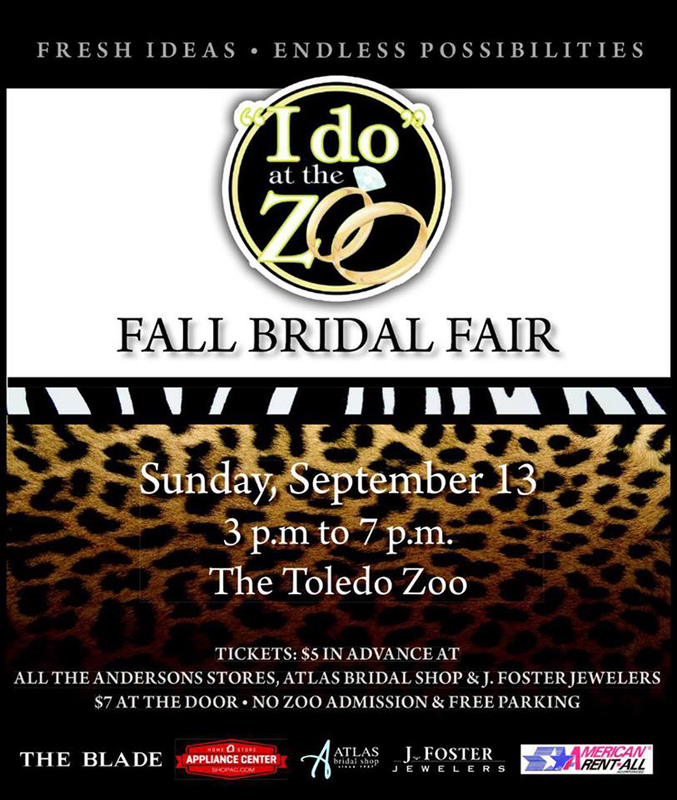 Come See Me at the I Do at the Zoo Bridal Show this Sunday, September 10 from 3 pm until 7 pm at the Toledo Zoo in the new Malawi Event Center. Parking is FREE in the Main Parking Lot off the Anthony Wayne Trail! Tickets are $8 online or at the door. 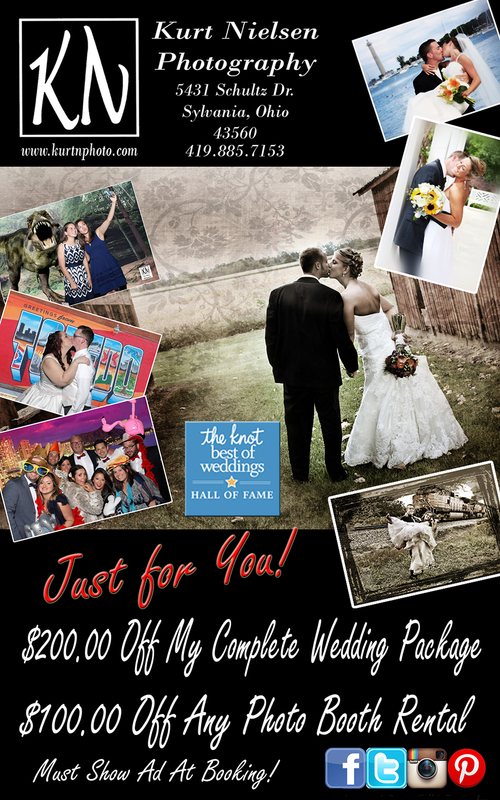 Stop by my booth to register to win a $100 gift certificate and get my Bridal Show Special! Don’t forget to get your copy of the Sweetheart Deals coupon book. Here is a sneak peak of my bridal show special! 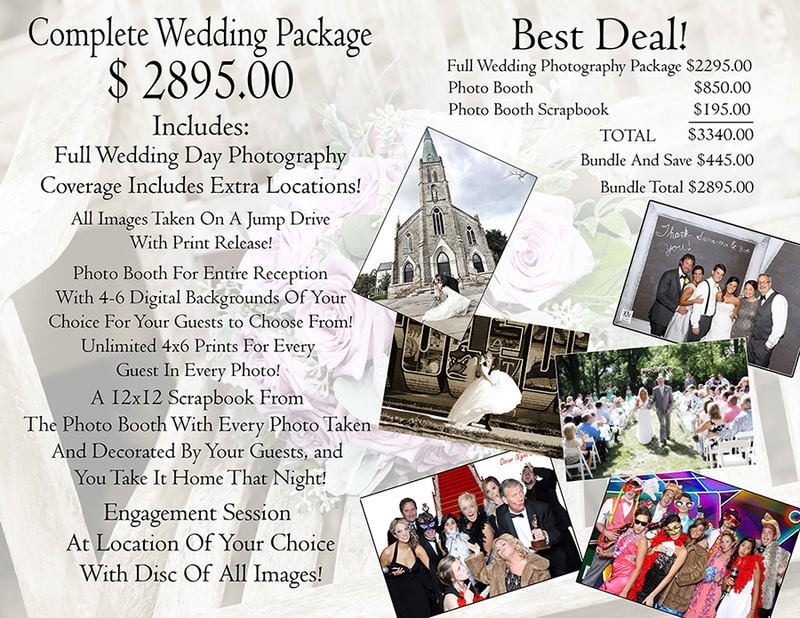 Take $200 off of my Complete or Elite Wedding Packages or $100 off of any photo booth package! 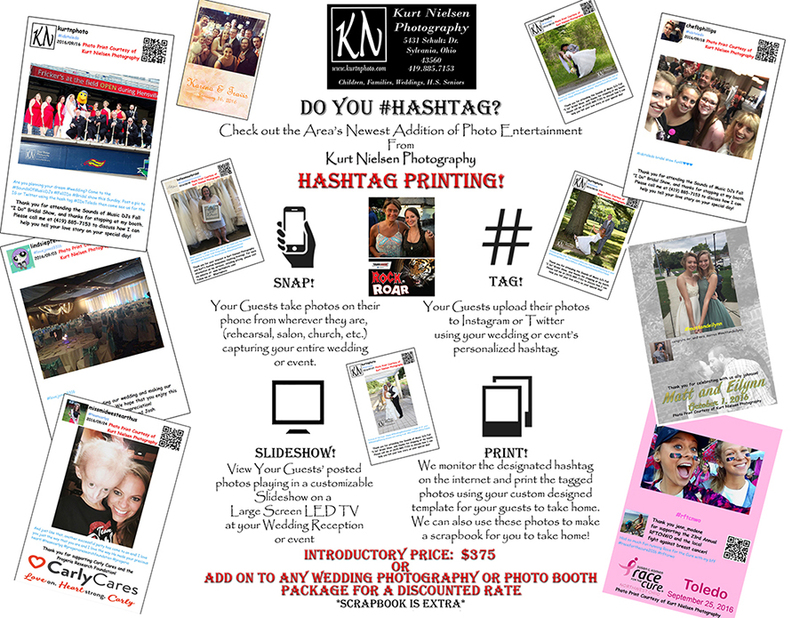 Don’t forget about my Hashtag Printing Station to go with your unique Wedding Hashtag! Don’t forget to wear comfortable shoes and bring your friends to help you collect the information. Print address labels with your name, address, email address, phone number, and wedding date to put on drawing entry forms. Bring something to drink to stay hydrated. Pre-register online before you go so you don’t have to wait in line! You can do that on the Sounds of Music DJs website! Most of all, have a great time and come see me! This is where I will be! 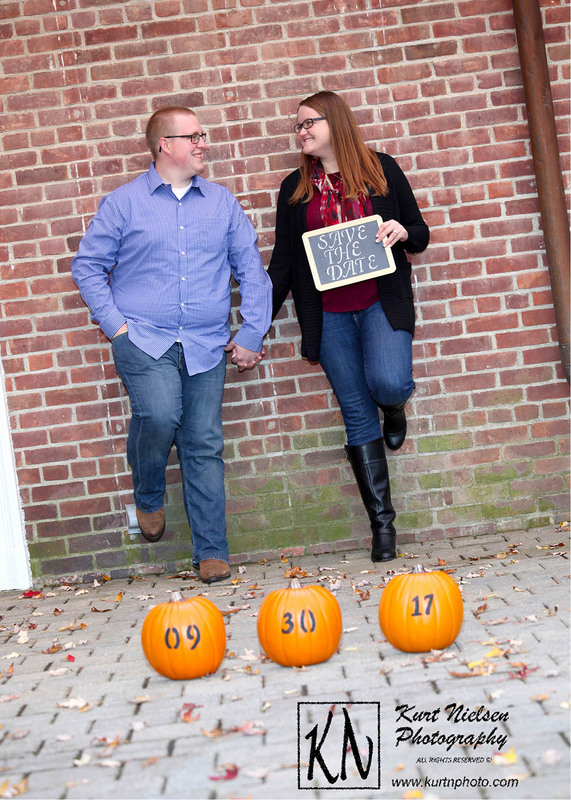 I can’t wait to meet you and talk about your dream wedding at the I Do at the Zoo Fall Bridal Show! 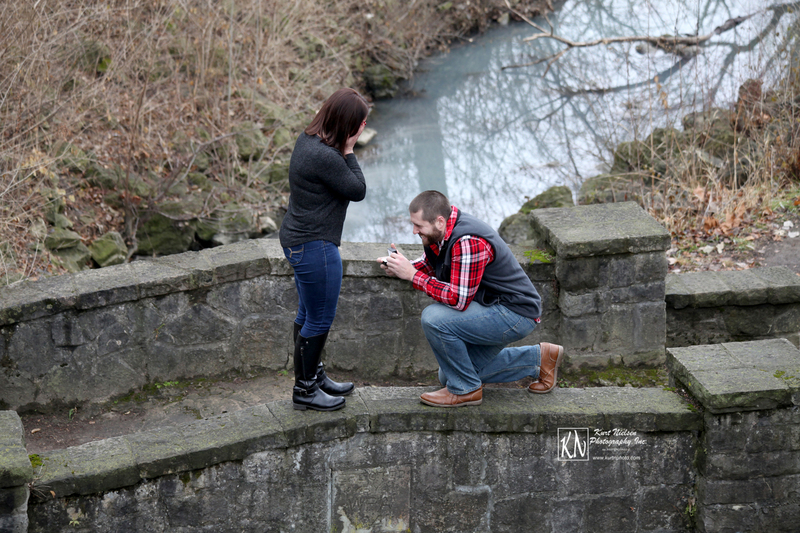 Congratulations on your recent engagement! Now the planning begins! The best way to plan is to go to a bridal show! 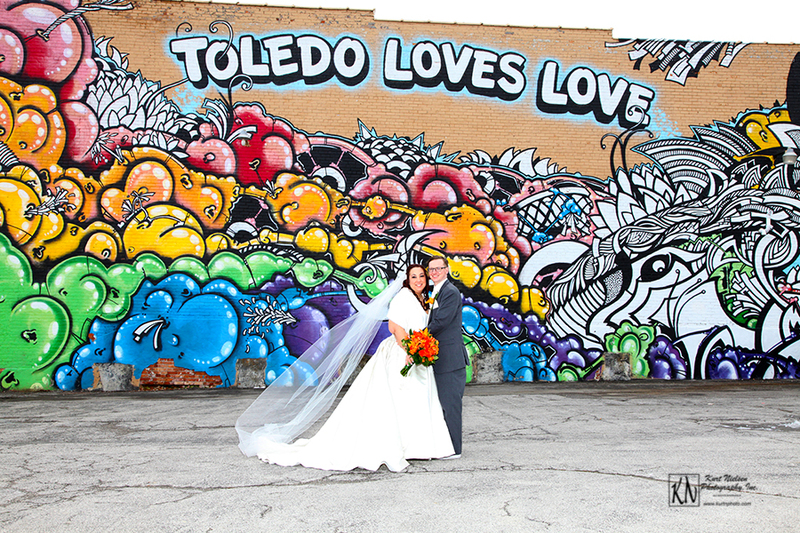 The biggest and best fall bridal show is the Sounds of Music DJs I Do at the Zoo which will be on Sunday, September 13, 2015 at the Toledo Zoo and Aquarium from 3pm until 7pm. Tickets are $5 in advance or $7 at the door. There is no parking fee or admission fee for the zoo in order to attend this event. 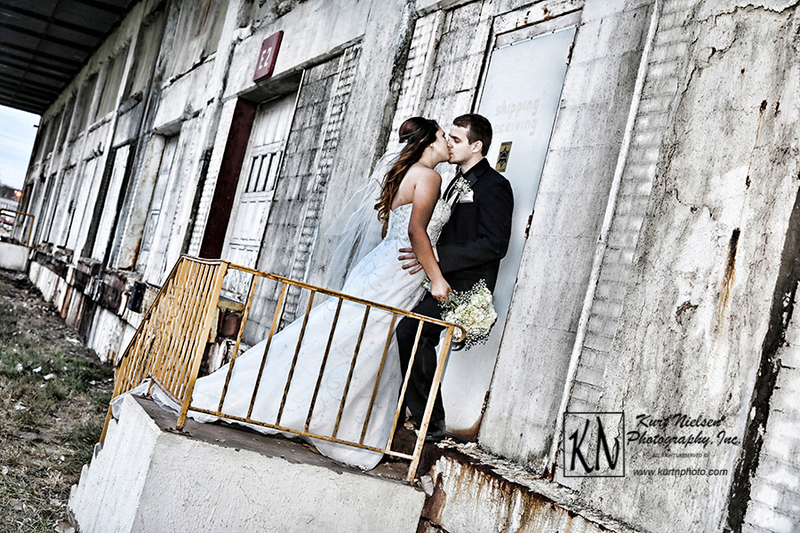 For tips on attending a bridal show and my bridal show special, check out my website! Don’t forget to check out my Green Screen Photo Booth. 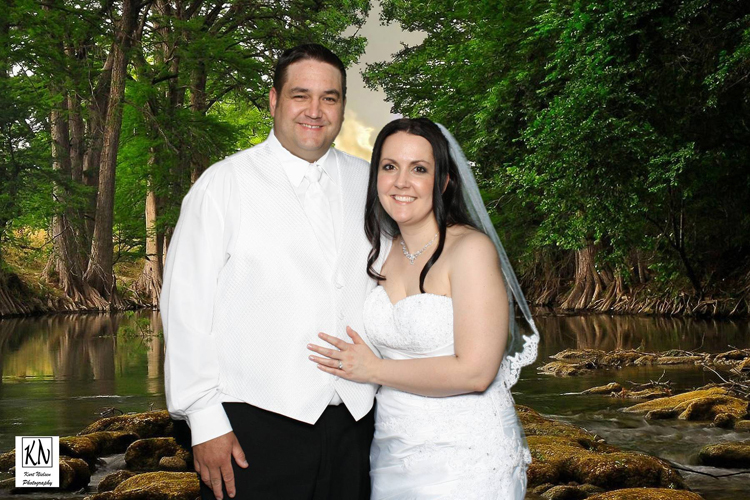 We print full 4×6 photos for everyone in every photo. 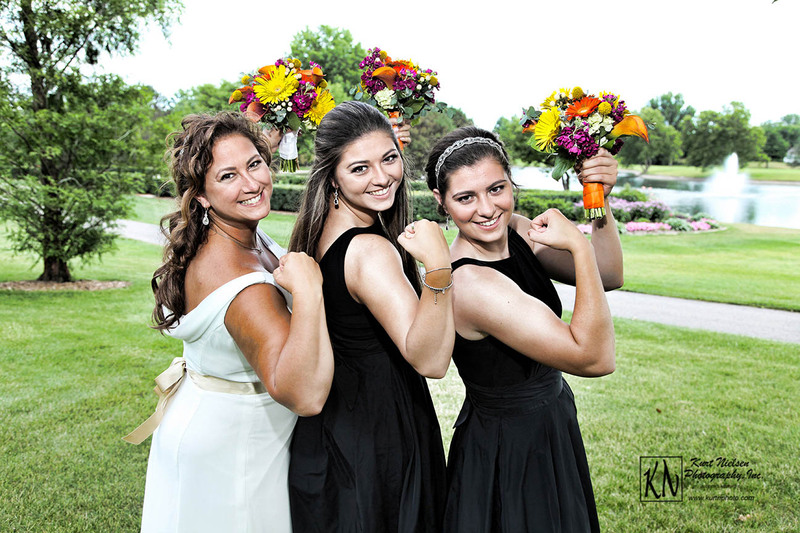 We use professional photography equipment to get the best photos and have an actual photographer at every event. We also post our images on line permanently and you can view and download them for FREE at any time. 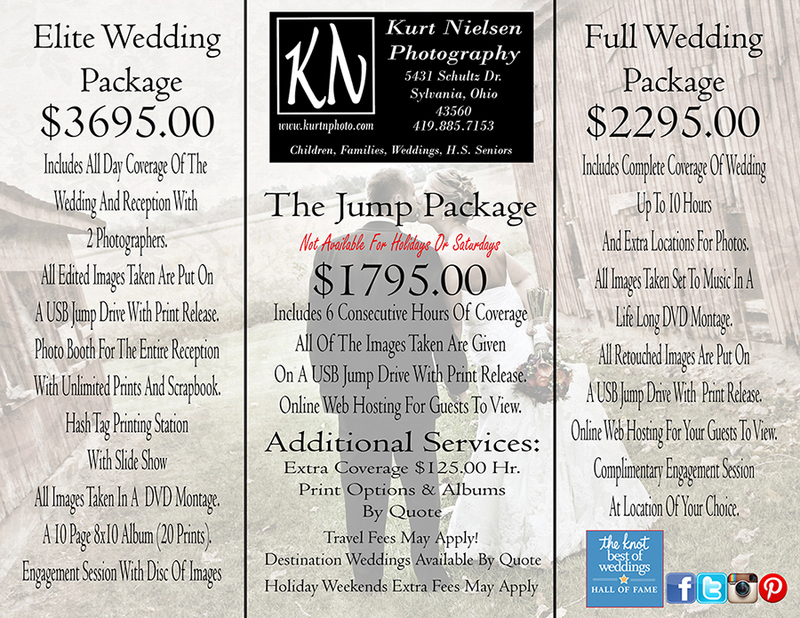 For more information about Kurt Nielsen Wedding Photography, including pricing, please visit my website at: www.kurtnphoto.com. 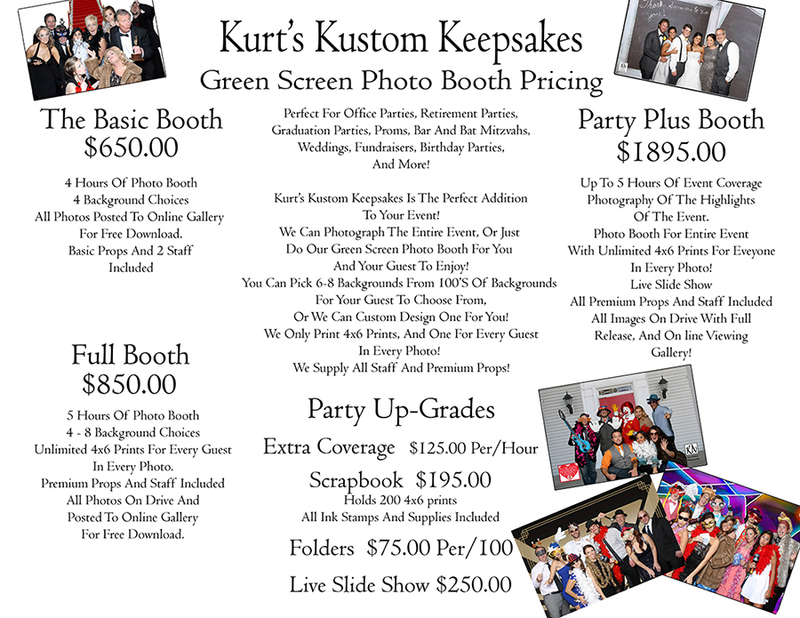 Click here for my photo booth pricing.